Gaijin Kanpai Ep.132 - "Adequate Grass"
Your lawn, your dealer, your Easter basket... None of them have it. But GK does! Haha! ...wow, that... That was tragically unfunny. This week marks the start of a new chapter in GK history! The night, time, release day, and host locations have all been locked in for the foreseeable future. As such, please join us in the uStream at 10:30 PM Eastern/7:30 PM Pacific as we record. Episodes will be made available midday every Saturday. 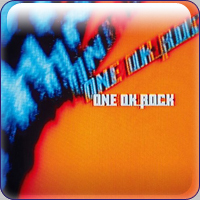 This ep covers two albums to make up for the lack of show last week... ONE OK ROCK's "zankyou REFERENCE" and Kimura Kaela's "8EIGHT8," which no one knows how to pronounce. - [36:43] Make My Day!